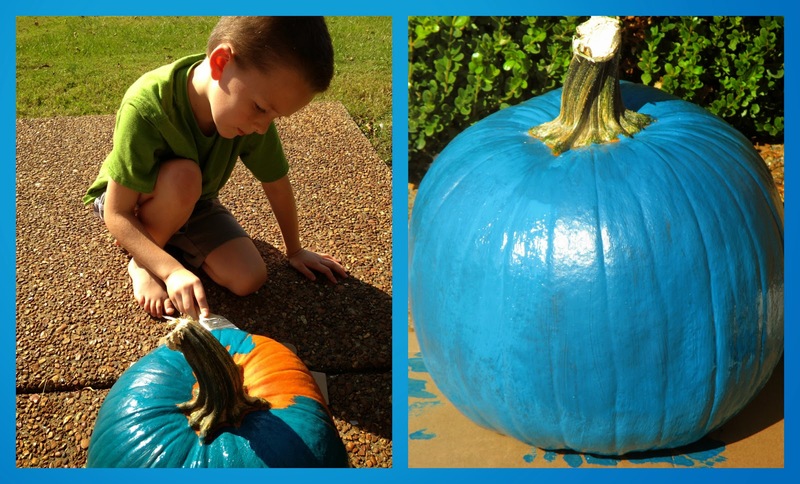 Raising Jack With Celiac : Raising Jack Supports The Teal Pumpkin Project! Raising Jack Supports The Teal Pumpkin Project! 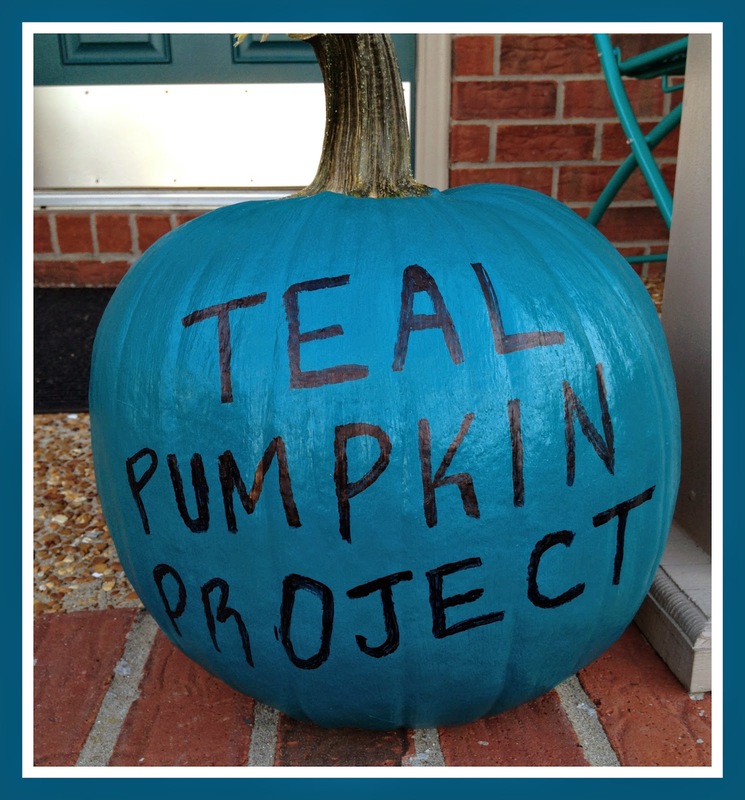 The Teal Pumpkin Project is making waves this Halloween and we're happy to be a part of it! 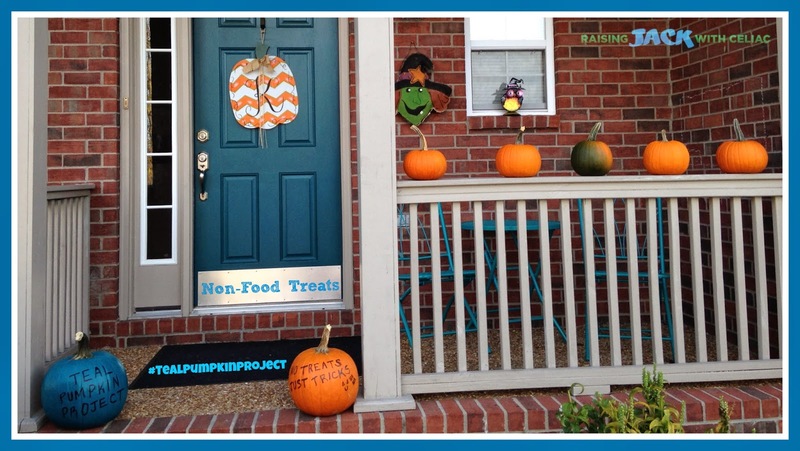 FARE (Food Allergy Research and Education) started a new initiative this season, encouraging families to participate in trick or treating by passing out "Non-Food treats to promote safety, inclusion and respect of those living with food allergies - and to keep Halloween a fun, positive experience for all." Celiac disease and food allergy communities have a common bond. We can relate, even though the scenarios may be different, celiacs and those with food allergies have to avoid certain foods to prevent harm to one's body. Jack was on board and ready to start painting our TEAL pumpkin! After painting the pumpkin, Jack was ready to fill the Halloween bowl! 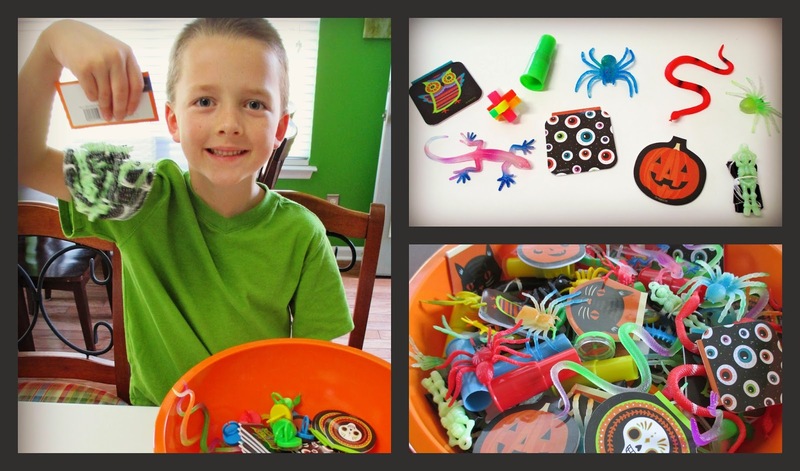 We headed to the store and we came home with LOTS of TRICKS! Jack's favorite - the skeleton parachute guys! This was a FUN "Project" and we look forward to doing this every year! Wishing all our food allergy and celiac families a SAFE and FUN HALLOWEEN! P.s.s. You still have time to paint your pumpkin TEAL!